The impact of farming practices such as tillage, crop rotation, use of chemical pesticides and fertilizers, clean fallowing, and topsoil removal on AM fungi has been studied extensively and can alter the abundance of AM fungi in soil. 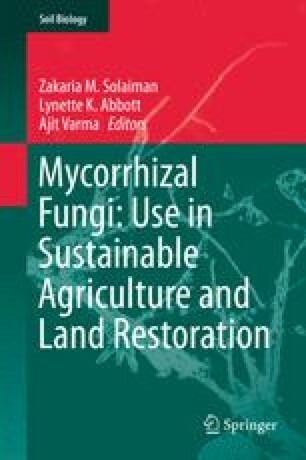 The development of a conceptual model for development of arbuscular mycorrhizas could be useful for predicting the status of AM fungi in agricultural fields, but this is not quantitative. This could be further developed using spatial variability studies of the infectivity of AM fungi, but this depends on basic understanding of the factors that influence the factors that influence the abundance of AM fungi in soil and their ability to colonize roots.